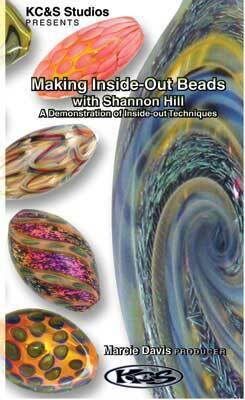 Shannon Hill will lead you on your way to creating beautiful inside-out boro beads. These beads are created off-mandrel from borosilicate tubing. First things first, you need to learn to pull points! You'll find out how to decorate the inside of your tubing with dots and stripes, fume with gold and silver, and add boro dichro to your work. Enlightening and educational!